Disclosure: This is not a sponsored post, but this project is being considered for prizes as part of the Cricut Design Space Star contest. 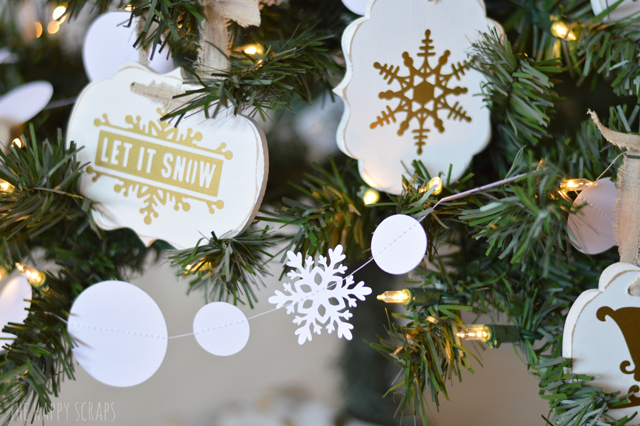 If you love these Dreamy White Holiday ornaments as much as I do, I would love to have you pin this project HERE. This is my last entry into the Cricut Design Space Star contest. It has been a fun contest to be a part of, and I’ve had a lot of fun creating the things that I’ve shared as part of it. I hope you’ve enjoyed it as well. Today, I’m sharing my Dreamy White Holiday. That is the theme that my group chose to go along with the over all theme of Holiday Crafts/Gear. I decided I wanted to make Christmas ornaments and garland to go along with the themes. What do you think of when you think Dreamy White Holiday? There are several things that come to mind for me. I love the thought of lots of white with pops of subtle color here and there. That is what I used for inspiration as I went about creating these Dreamy White Holiday projects. I started by making this fun Snowball and Snowflake Garland. It was simple to put together. Using the Cricut Explore, I cut out the shapes, and then I used my sewing machine to sew them together. Click here to see the full tutorial. I had a lot of fun making all these ornaments. 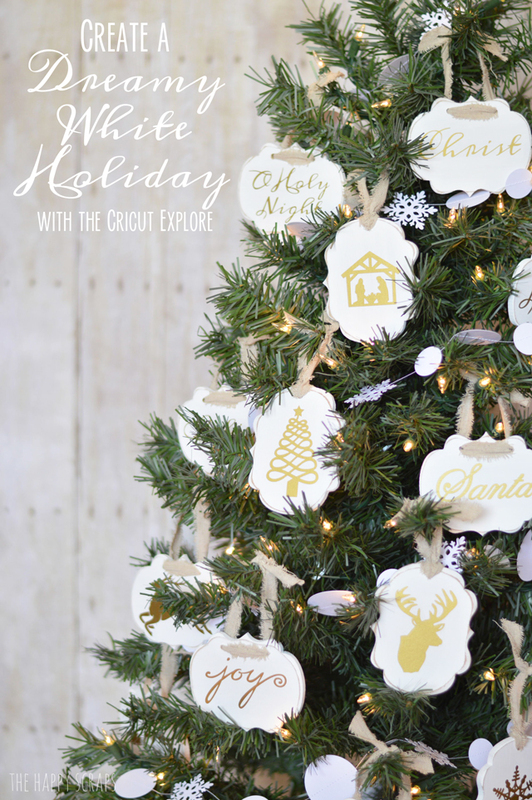 In Cricut Design Space, I found a lot of images that I wanted to use, and then I also designed some of the words in Photoshop Elements and imported them into Design Space. Using the Cricut Explore machine and some gold vinyl, I cut out all the words and shapes and put them on the wood that I had prepared for them. 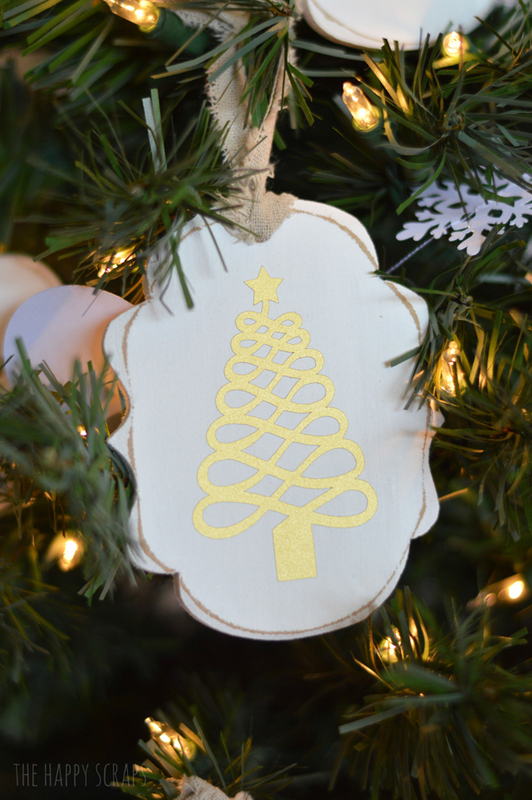 You can find the full tutorial on how to make these ornaments, here. 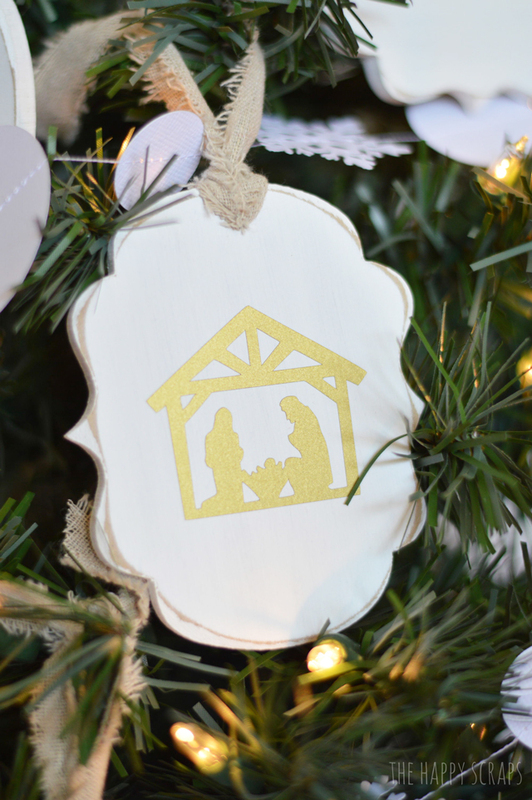 I’ve always been one that loves color during Christmas time, but I won’t lie, I’m totally digging the neutral colors of the white, gold, and linen together that are used here. 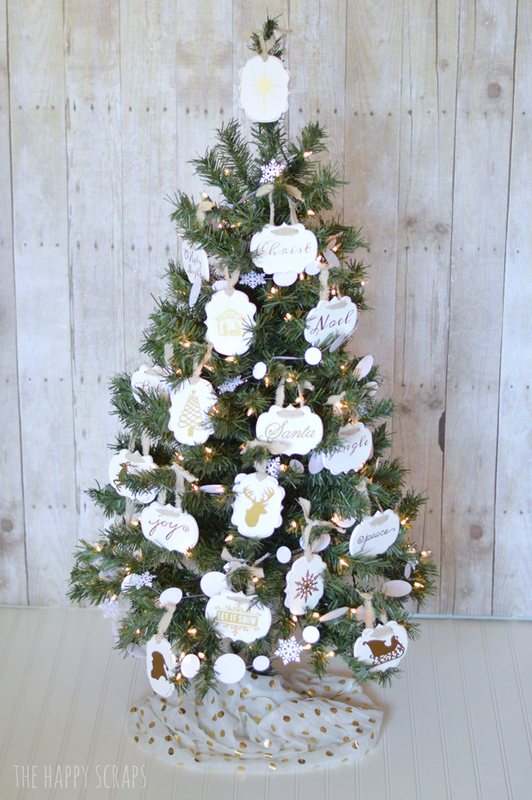 Between the Snowball and Snowflake Garland and the simple yet elegant ornaments, I think this tree is close to perfection, what do you think? Amy, I love this! That tree is stunning. Gorgeous, the neutral palette is so pretty here! Christina’s Creations recently posted…Giving Thanks MPC Blog Hop! I love love love this! So darling! So you cut your ornaments out of wood too? With your circuit or you just being handy dandy? I’m just curious 🙂 I know you said you’ll do a tutorial later this week. Such a gorgeous Christmas tree. 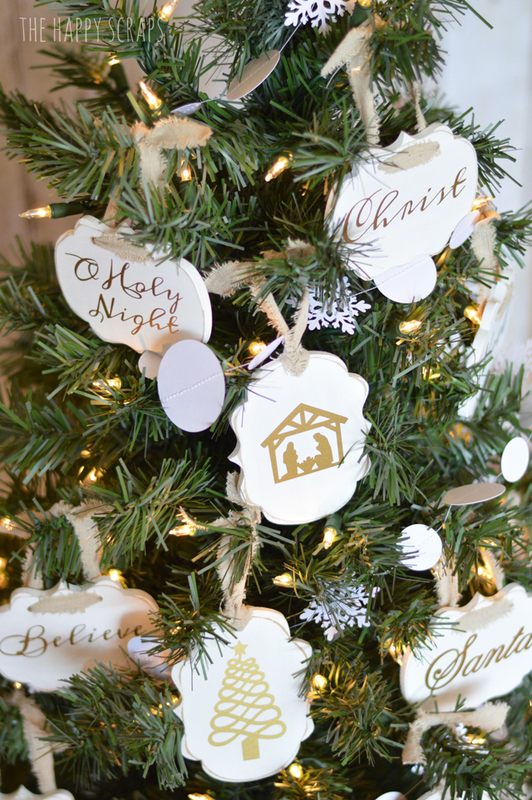 I love the ornaments and the garland…now I want to make a garland for my tree!! 🙂 Good luck!